Despite the unusual snow storms in March, ISH in Frankfurt is fully underway and runs until Saturday 16 March 2013. From a passive house perspective the enormous exhibition covers a wealth of existing and new ventilation technology as well as vast range of companies offering all types of low energy heating & cooling equipment. The Passive House Institute's logo is very identifiable throughout the exhibition as more & more companies submit their products and achieve certification. It's almost reached the point that if you come across any manufacturer of reasonable size that doesn't have a passive house certified component logo, it would make you wonder why. What's very much in evidence here is that previously manufacturers who have concentrated on a specialised area of heating -- for example, oil and gas burners -- have branched out and are offering all types of other heating methods including solar, biomass, geothermal, air to water heat pumps, and so on. The aim to offer virtually all customers the option of remaining brand loyal is interesting. All manufacturers seem to have a bespoke smart-phone or tablet based application for either Apple or Android systems which empower the homeowner with better controllability of what's happening in their home at any given moment and the ability to adjust it from just about anywhere. While this might be fashionable now it would appear that with the advance in technology it's here to stay. No more having the heating system coming on during the warmest days in winter when the house is at 20C plus already! 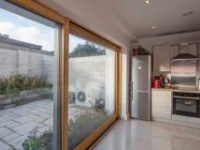 Compact units seem to be growing in popularity too as houses become ever more energy efficient their space & hot water demands can be met by multifunctional & physically smaller units which will save on space and installation costs. 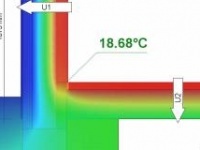 Typically they also have a mechanical ventilation with heat recovery system integrated. Many can however be coupled to almost any primary heating source. There's a large section devoted to heating using biomass, with stoves in particular very strongly represented. There's a large number of outside-air fed stoves that are designed to operate within airtight houses. One particularly interesting exhibit: Brunner stoves had their new multi-functional control system on display that allows the total time & temperature control over a wood burning system which again can be coupled to a number of other heat sources to control the mix and dispersion from their buffer tanks. As evident from the stands and the accents of English being spoken there was a very strong presence from both Britain & Ireland. 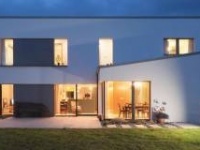 The British and Irish are continuing to up-skill their knowledge base and seemed particularly keen to get information on systems & components that are suitable for passive houses. 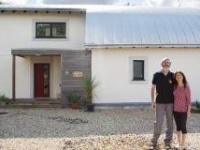 As Europe collectively heads towards our commitments for 2020 it would appear that the manufacturers and service providers are pushing the boundaries and efficiencies to help homeowners to achieve ever more energy efficient homes. In continental Europe there is hardly a better place to see such a large range of products and potential as at ISH. The ease of access via Frankfurt’s international airport and the excellent infrastructure links make getting to and from the Messe Frankfurt straightforward.